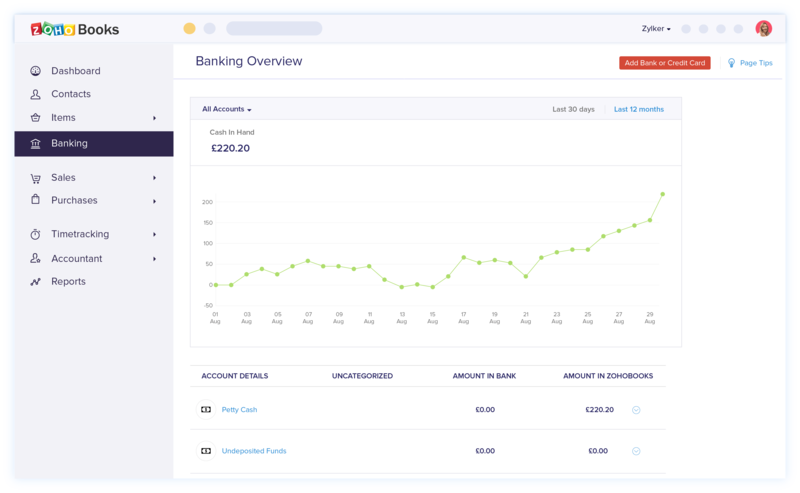 Connect and reconcile your bank accounts in minutes. Know the whereabouts of your money with Zoho Books. 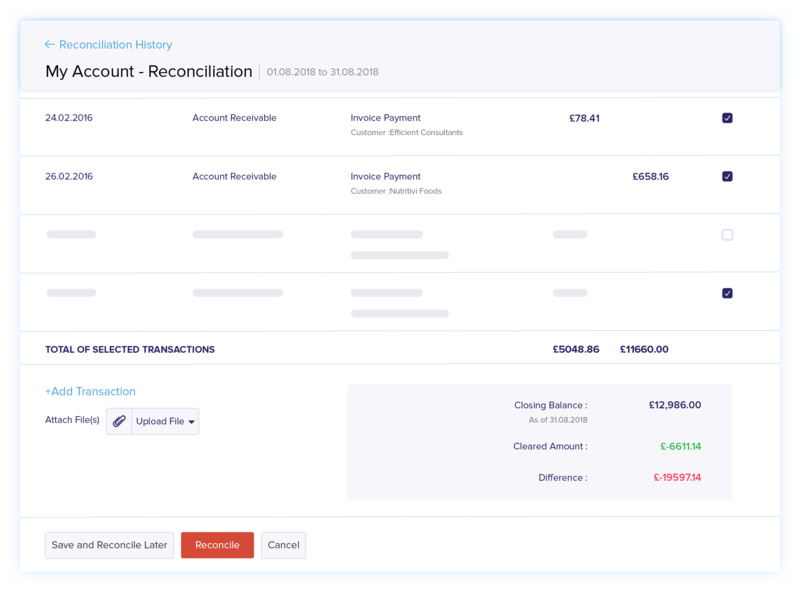 Whether you hold a single bank account or several, we make your bank reconciliation effortless. Securely fetch transactions from your PayPal account as well as your banks and reconcile your accounts in no time. 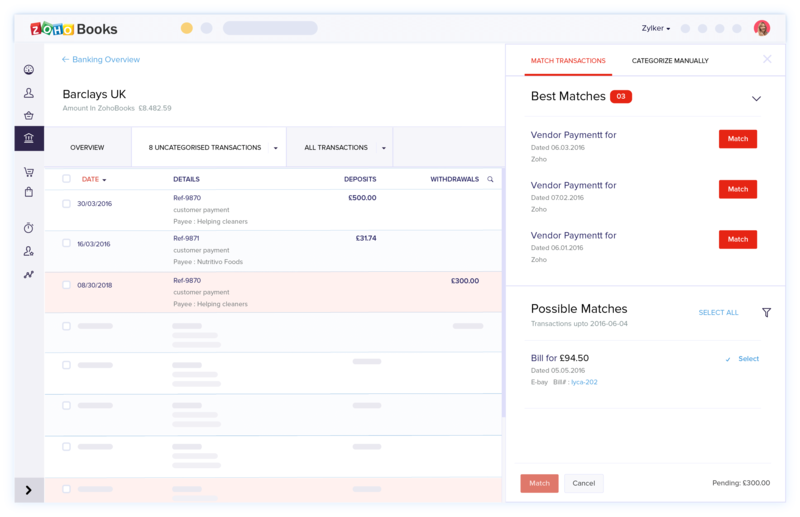 Get precise cash flow predictions—plus balance mismatches, expected recurring payments, and past reconciliations—using our banking dashboard. It's easy to miss one transaction when you've got hundreds coming in. 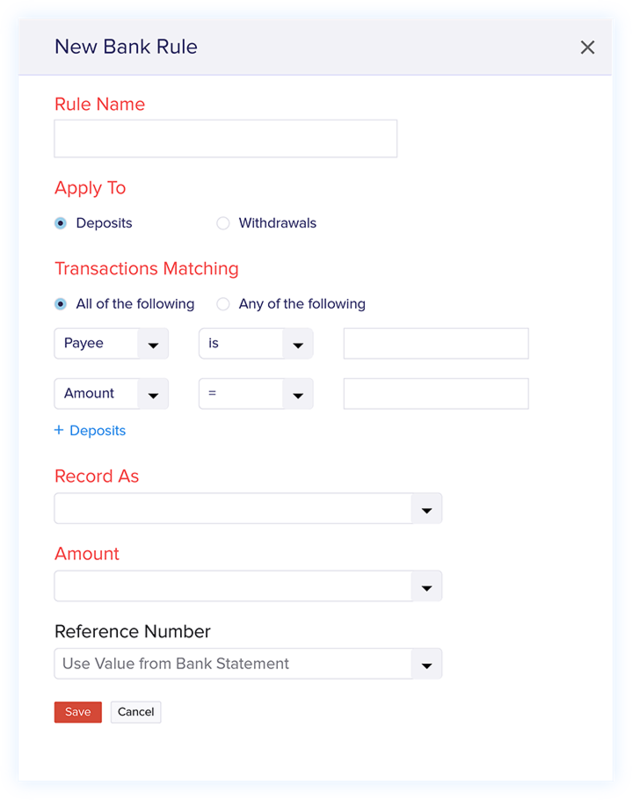 Use banks rules to filter and categorize transactions automatically so nothing slips through the cracks. 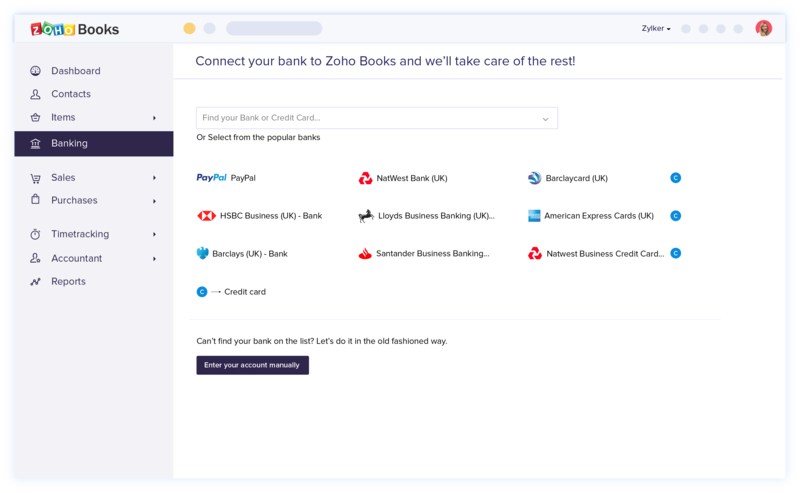 Zoho Books identifies the best matches and other possible matches for your transactions, making the matching process a breeze. Zoho Books reconciles all your accounts in a few clicks, so you can easily keep your business tax-ready. 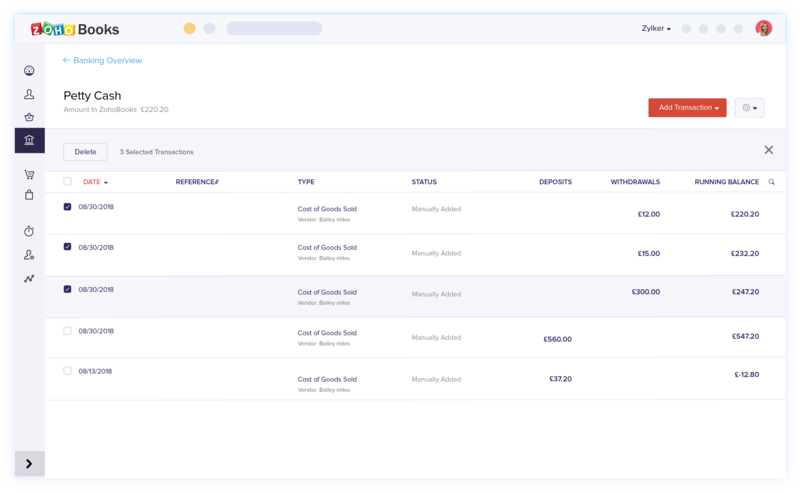 With thousands of transactions to manage, bulk actions make it easier to select, categorize, delete, and restore multiple items. Skip the data entry. Choose Zoho Books.